Now that I have your attention I have to break the bad news.. This blog post will not be about the book, (50 shades of Grey) but the good news is I am talking about Greyhounds. Shelters and rescue groups are inundated with Greyhounds because the racing community disposes of these animals when they are no longer running faster enough or winning enough money. They magestic dogs make incredible pets and are such loving companions it is a shame that more people so not consider them when wanting to adopt a pet. 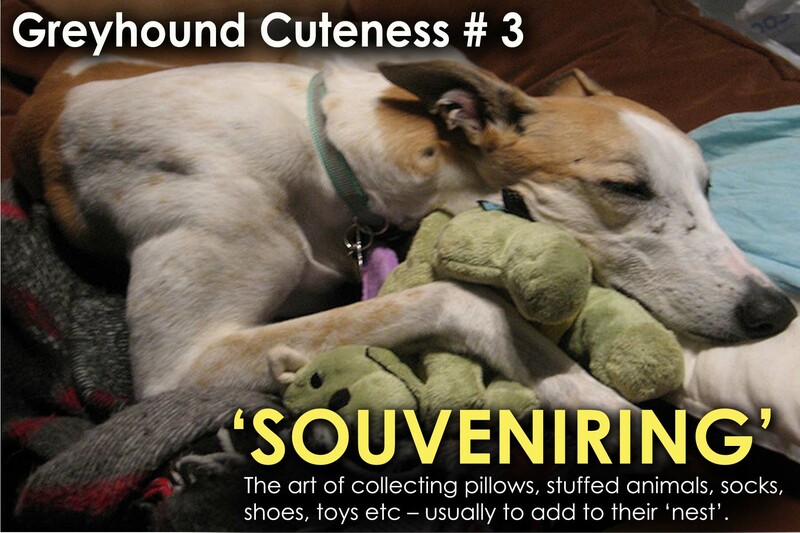 Here are some quick facts about Greyhounds as sourced from Friends of the Hound, a rehoming orgniasation located in Brisbane whose sole purpose is to help find homes for Greyhounds. There are around 20,000 Greyhounds bred in Australia each year for racing purposes. Just under half the number bred don’t even make it to the track. Most racing Greyhounds are destroyed by the age of 3-4 years when their racing careers are finished or after suffering an injury that prevents them from continuing to race. Sadly, thousands upon thousands of Greyhounds are destroyed each year when they become surplus to racing industry requirements. Thousands of dogs are injured each year on the track. It is wrongly assumed by many that Greyhounds are not the ideal family pet or childhood companion. This could not be further from the truth. 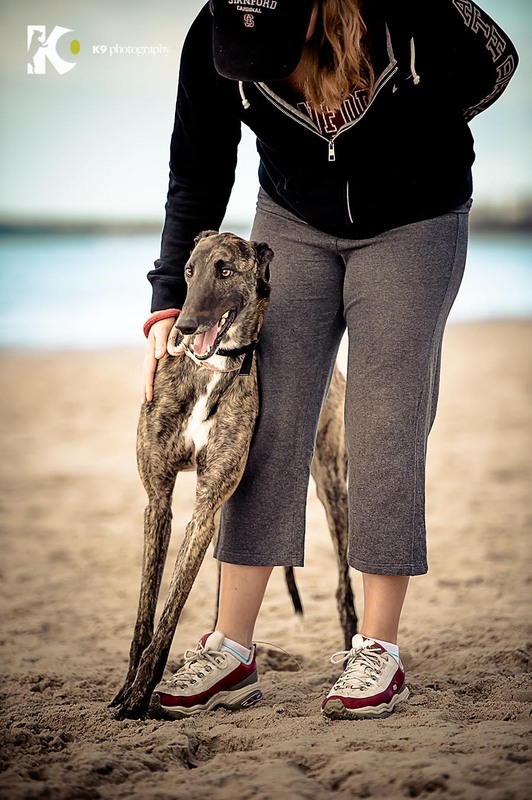 Greyhounds are kind, loyal dogs that make fantastic household pets and are great with children. You may be surprised to learn that Greyhounds do not need much exercise at all. In fact they are affectionately described by their owners as 45mph couch potatoes and love to spend their time indoors or on a sofa in the sun. Greyhounds do not require a large backyard and do not have high energy abundance. Their friendly, gentle temperament makes them an ideal indoor pet. Greyhounds also make fantastic pets for the elderly as they are usually very patient. Another misconception of the Greyhound stems from past law requirements, which have forced them to wear muzzles. 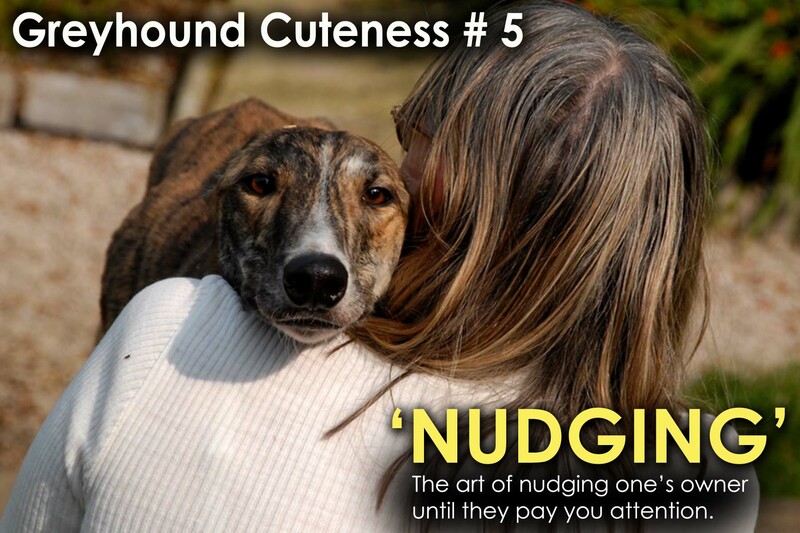 This has created a common belief that Greyhounds are an aggressive breed. Reasons behind the muzzle are not due to aggression, but are to discourage chasing, as many greyhounds are trained from an early age to chase anything fluffy. Although greyhounds may not have the same social experiences as other breeds while growing up, they can adapt to a domestic life with a little help from their new owner. Greyhounds have little or no body fat, and short, smooth coats, and as a consequence, they tend to feel the elements more than other dogs. They should sleep indoors at night and have adequate shelter during the day if left alone. A greyhound that gets overheated or too cold can lose condition very quickly and their health can deteriorate rapidly. A warm coat is required for those cold winter days and nights. How often a greyhound gets bathed very much depends on how soiled they get. They have very little oil in their skin, which means very little “doggy odour”. Select a mild all natural, conditioning shampoo – oatmeal shampoo is fantastic for dogs with dandruff or dry skin. Unless a greyhound gets particularly dirty it will not need bathing very often – certainly not weekly. Washing too often strips the coat of its natural oils and dries the coat and the skin. It is advisable to check your greyhounds’ ears once a week. Clean the outer ear gently with a baby wipe or damp tissue. When bathing a dog it is also a good idea to plug the ears with a cotton wool ball to avoid shampoo dripping down into the ear. 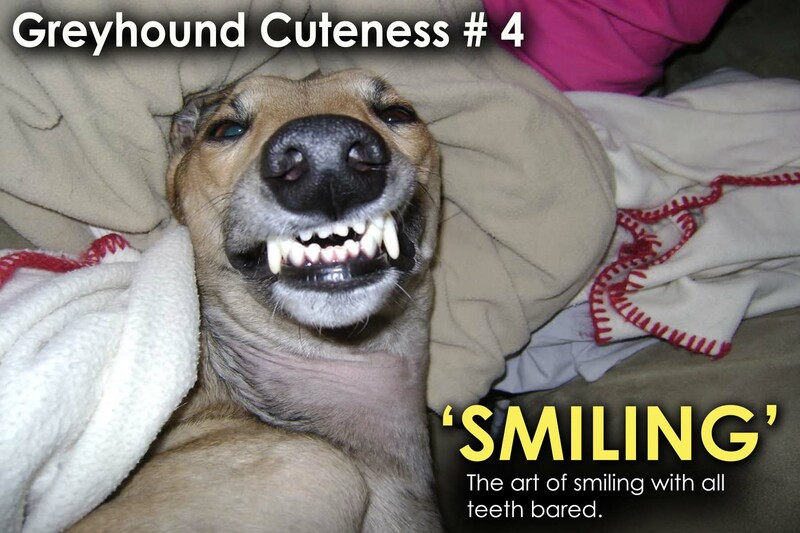 It is not uncommon for ex-racers to have bad teeth, partly due to the soft diet they are fed when racing. Any deep cleaning is done before adoption, but like humans it is possible for plaque build up to occur after this. Brushing with a specially designed toothbrush or a gauze pad can help stop tartar from occurring. Brisket and raw chicken bones are also good for keeping teeth clean. It is advisable to have your dog’s teeth cleaned by your vet on a regular basis. All the weight of a dog is placed on its feet. Therefore it is vital to regularly attend to trimming a greyhound’s toenails. Most greyhounds are used to having this done while they stand. Using good quality clippers; lean over and bend the foot backwards to find the underside of the nail. A vet or a groomer will be only too happy to show the inexperienced or nervous owner how to cut them. Greyhound’s nails are often longer than other breeds, but should be trimmed to keep them from getting too long. As a general rule they should be trimmed to keep them just off the ground, but they will still look like they are a little longer than you’d be used to! 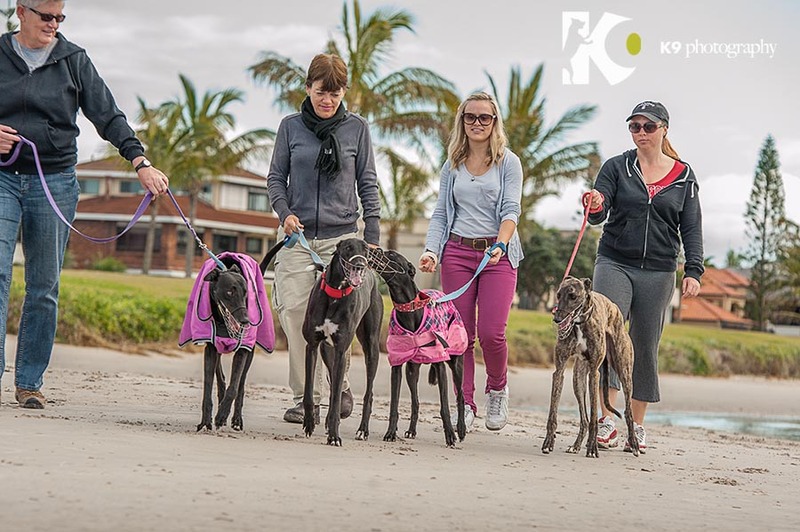 The Animal Welfare League of Qld is running a Greyhound adoption drive as they currently have 7 Greyhounds in their care who are looking for a new home. 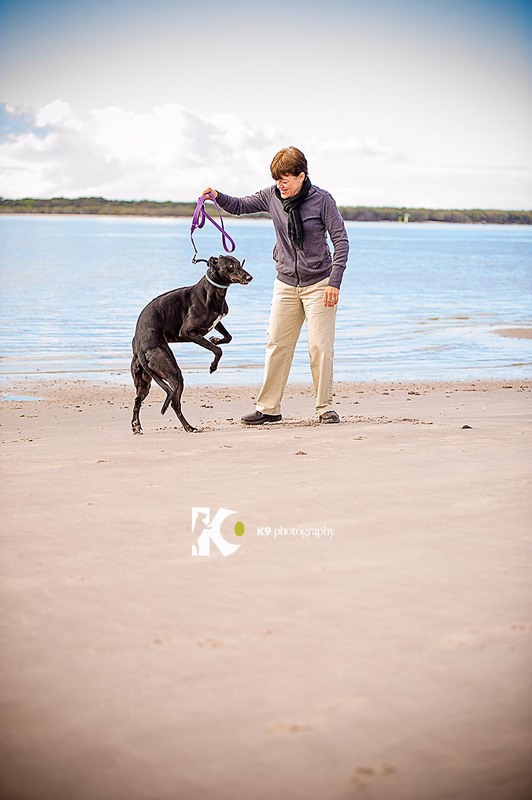 I was lucky enough to attend a photoshoot with these beautiful dogs at the beach on Monday with Diana from K9 Photography who once again captured some beautiful images. 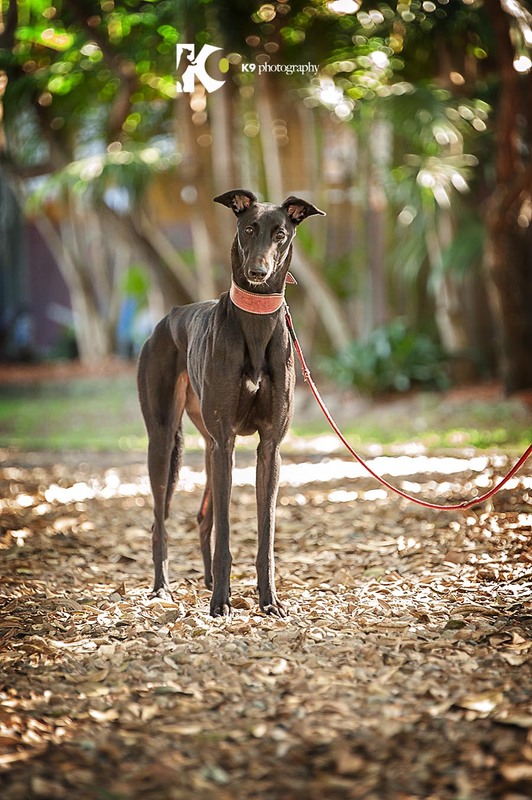 The AWLQ’s online campaign runs for 2 weeks and they hope to rehome all 7 Grey’s. 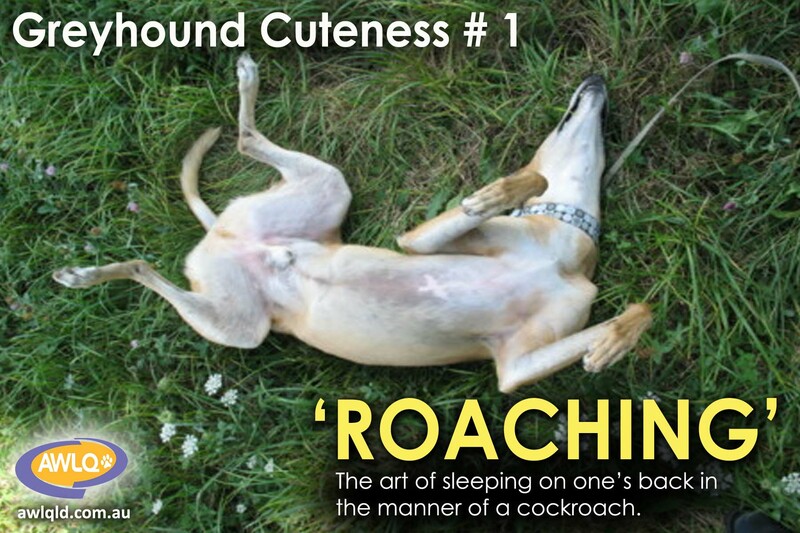 Their design team have come up with the following posters to promote the great qualities unique to the Greyhound breed. 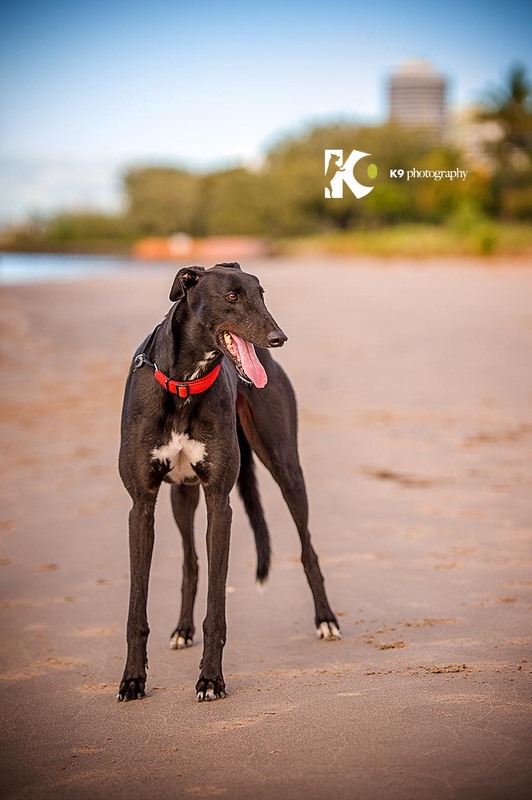 If you are looking for a family companion or a big dog that doesn’t require much work then consider a Greyhound – you will not be dissapointed.